Thank you for your interest in River Lights in the Rock. Lighting requests may be made by individuals or organizations in recognition of special events. The River Lights in the Rock Advisory Board (Advisory Board) has been developed to set annual lighting plans and special request policies. The Little Rock Convention and Visitors Bureau (LRCVB) is the designated technical operator for River Lights in the Rock. The cities of Little Rock and North Little Rock, along with Pulaski County, are responsible for the maintenance and upkeep of the bridge lights. 100% of the River Lights in the Rock lighting revenue will go into a joint fund designated to cover all costs related to maintenance, upkeep and operations. 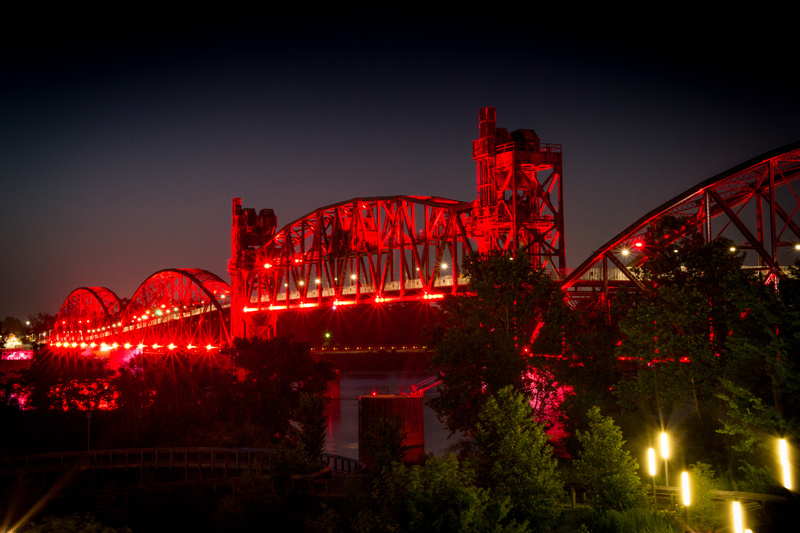 Download the fillable River Lights Display Application (PDF) and email to Phyllis Lucas at the Little Rock Convention & Visitors Bureau.